There is an inequality in between our liberal perspectives upon ‘faith’ and the novelties of some of its existing manifestations. 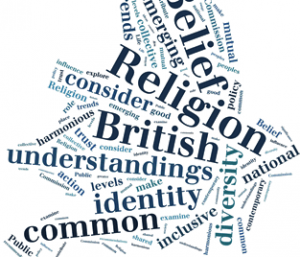 ‘Secularity’ is considered the typical, default shared domain for public affairs, and ‘religion’ is considered a matter of personal belief and practice that is valid so long as it does not impinge upon the life and choices of others. Nevertheless, the impact of globalisation and the arrival of the adherents of numerous other faiths in our middle, requires the British dimly to understand the historical particularity of this double perspective. Christianity in one sense has actually constantly been various from ‘other faiths’; in another sense it has only become various in the course of modernity. It has constantly been various because, from the outset, it started to separate in a newly extreme way in between the sacred and the secular by getting rid of a religious aura from political developments through the invention of a brand-new, post-legal polity, the ecclesia, whose objectives of peace and reconciliation remained in excess of those of legal and justice-seeking processes. Yet traditionally Christianity is not so various, since this duality was highly tempered: on the one hand there were courts of canon law; on the other the legitimacy of secular power was eventually referred to spiritual sanction.